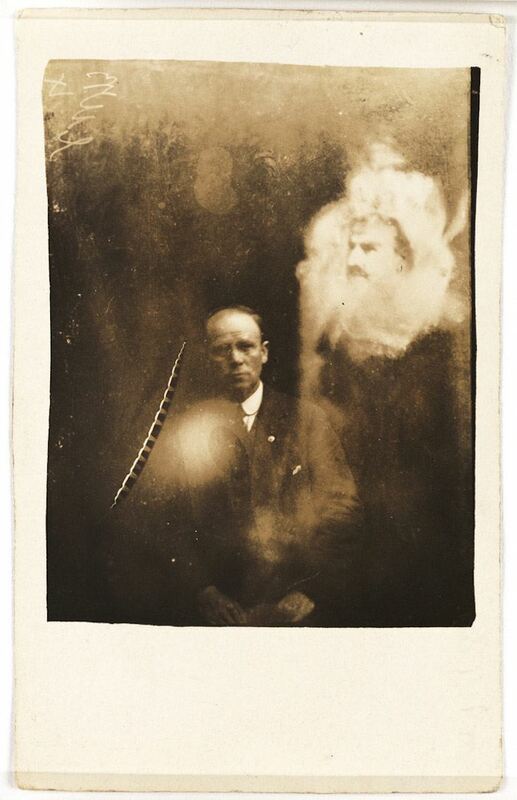 The study of the supernatural has long been a controversial field, and William Hope’s Victorian spirit photography is no exception to that rule. 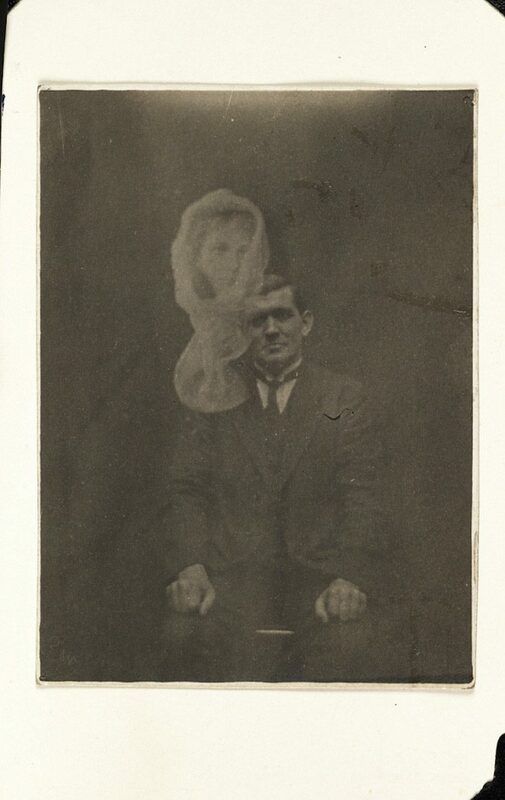 Recovered from a dusty second hand bookshop in the English countryside, Hope and his set of ‘spirit’ photos come with their very own backstory of intrigue and infamy. 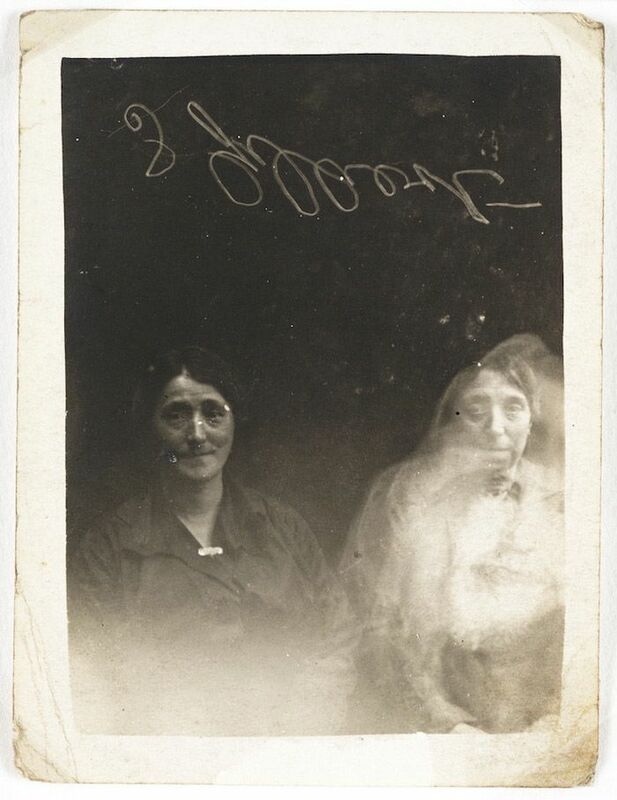 It was pure accident that catapulted Hope into photographing the “undead”. 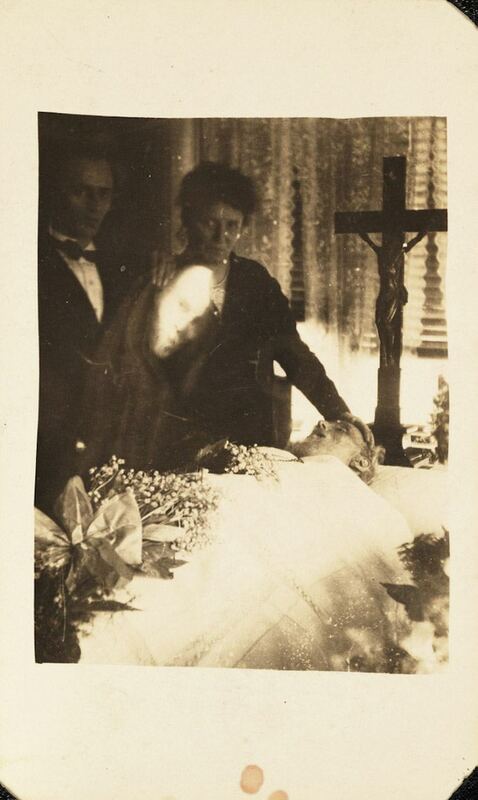 While taking a photo of his friend in 1905, Hope convinced himself that he had captured the presence of a spirit by chance. Turning his back on his former life as a lowly carpenter, Hope formed the conspiratorial Crewe Circle, a group of six gifted spirit photographers led by Hope himself. Upon receiving the necessary ecclesiastical accreditation via the membership of Archbishop Thomas Colley, the circle went public. 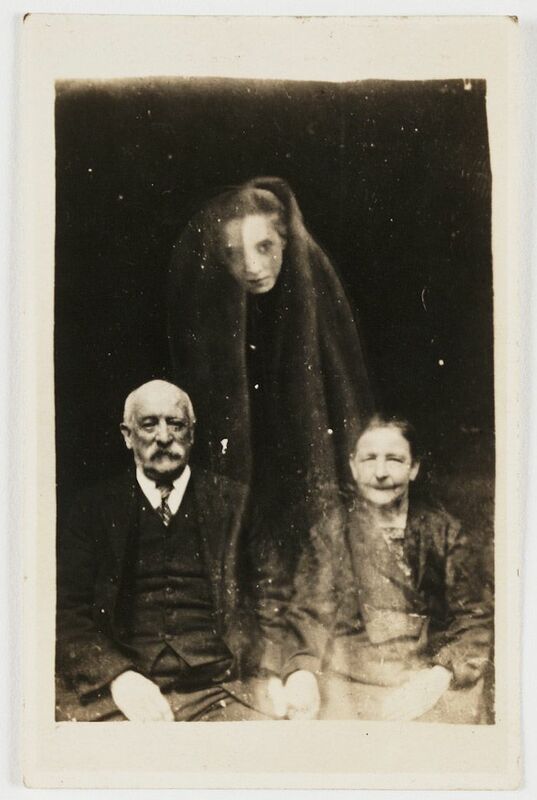 Together, the Crewe Circle printed photo after photo of people surrounded by the dead and circulated them to the masses. The incredible losses suffered over World War One proved a boon to the Circle’s business. Friends and family of fallen soldiers’ flocked to Crewe in efforts to catch a final glimpse of their deceased loved ones. Of course, the crew was more than happy to oblige, and Hope moved to London in the 1920’s and became a professional medium. 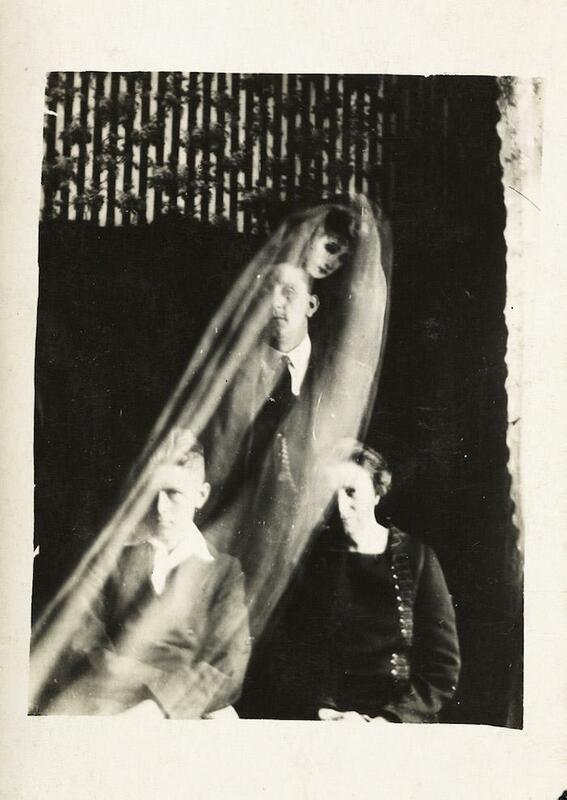 However, the controversy surrounding the ghostly photos grew, and soon enough Crewe Circle was thought to be nothing more than a group of charlatans capitalizing on the emotionally traumatized. In the 1920’s, many made it their mission to expose the circle for what it was. 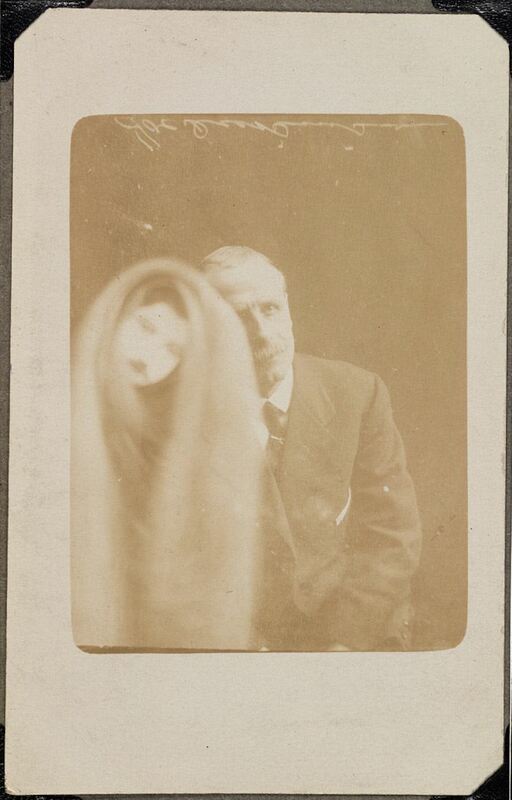 Most notable was Harry Price, head ghost hunter and psychic researcher for the Society for Physical Research, who decided to try and debunk the circle’s work. As it happens, Price found evidence that proved Hope’s spectral apparitions were the product of dark room diligence, not contact with the great beyond. Hope, it turned out, was practicing the art of overlaying: layering images one on top of the other to create a double exposure. Price published his findings and very openly exposed the manipulative medium as a fraud. However, Hope had his fair share of supporters, including Sir Arthur Conan Doyle, the man behind the Sherlock Holmes series. For his part, Doyle refused to believe that Hope’s work was all a ruse. With such reputable support, Hope continued to ply his trade in trickery until his death in 1933. Rather ironic that the creator of the world’s greatest detective never detected a ghostly rat in the proceedings.